Even in our enlightened and tolerant times, going completely out of your tree remains a social faux pas. 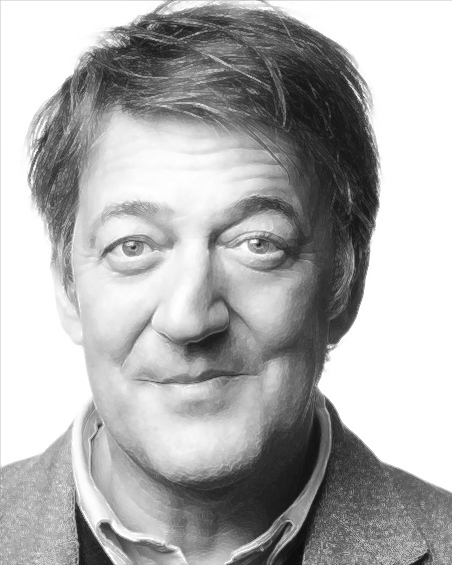 In a famous indictment of just how bad anti-mad hate, sadly, can get, Stephen Fry once said it was easier to come out as flamingly homophiliac than stark-raving doolally. As a survivor of both conditions, the beloved actor [pictured] is certainly qualified to know. Once labeled a nutcase, you risk being treated as a second-class citizen for life. Climate scientist Richard Betts knows this better than most. Betts was once identified in a scientific article—wrongly, it turns out—as suffering from conspiracist ideation. Betts didn’t seek compensation, settling for symbolic damages of a cup of coffee with the lead author of the article. Being certified means being committed, Lewandowsky says. The discrimination he’s faced ever since hasn’t been overt, he explains. “I was never thrown in a padded cell or anything like that. “It’s more like a bigotry of low expectations. My career seems to be mired in the special-kid field of ‘climate modeling,'” says Betts, “which is a kind of sheltered workshop for the scientifically-challenged, complete with round sheets of paper and no pressure to discover anything. Ever. Nobody really knows where these prejudices come from, but Professor Lewandowsky blames the lack of positive portrayals of wackjobs in popular culture. The news isn’t all bad for proponents of mad equality, however. “On the bright side, mental cases have been allowed to get married for centuries—a basic human right for which sodomites and other minorities are still fighting, to this day, in most countries,” he points out paradoxically. “It’s kind of mind-blowing when you consider that forty-nine US states celebrated their first pervert weddings only this year. To foreigners, deranged marriage may seem a backwards, even barbaric custom, admits Lewandowsky. But achieving the coveted certification is no mean feat, Lewandowsky adds. Such initiatives are all well and good, I ask, but aren’t they just gestures? How high can an openly geschmoilt man or woman really rise in today’s society? “You might be surprised. In my opinion, human beings aren’t nearly as prejudiced as everybody blindly assumes,” replies Lewandowsky. “Remember, we said we’d never elect a black man to the White House, didn’t we? And that’s still true, technically, but we’re halfway there; it’s only a matter of time. “Think of that historic election day, just seven years ago, when every man, woman and child [in the US] joined hands and said ‘Yes’ to the idea of a mulatto Commander in Chief,” he continues, choking up. “Can words overstate what that vote—that symbol of hope; that token of our faith in each other—did for half-castes everywhere? “No. And that’s the power of a token like Obama, isn’t it? Suddenly anything seems possible. Within reason, obviously; let’s not go cuckoo. “But if Americans of melanin can have their day in the sunlight of equality, should the meshuganeh-American community not dream the same dream? I put it to you that they should. In fact, a recent Pew survey found that as long as we approved of his policies, most of us would have no problem with a lunatic in the Oval Office. Robin Williams was the life of the party and the toast of Hollywood. He gave us goosebumps in Dead Poets’ Society, made us laugh on the ABC’s Science Show and made us cry in Dead Poets’ Society. Little did anyone suspect that the man of a thousand faces was wearing a thousand faces in public and another thousand faces at home, far from the glare of the camera. Yet in private, the wealthy and successful Williams was actually nutballs—a condition he’d struggled with since his mid-twenties, and to which he would ultimately lose his battle on 11 August, 2014, when he tragically offed himself. 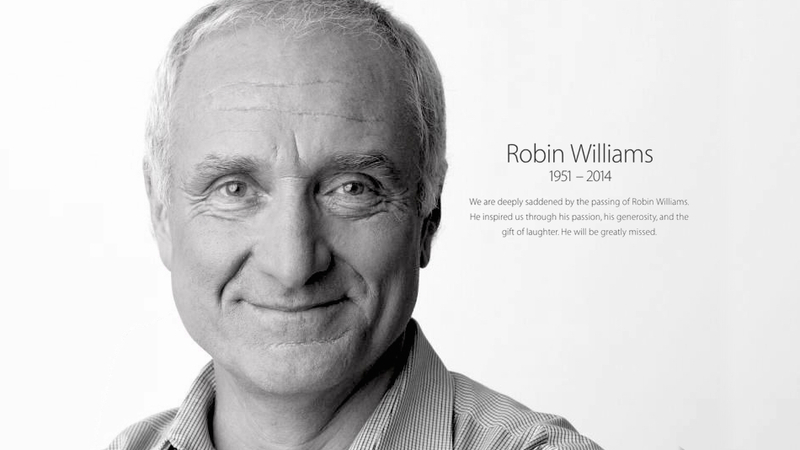 Insane advocates say Williams’ obituary is becoming all too common. But are they just being melodramatic to get attention, funding or some other twisted form of secondary gain? Not according to the statistics. Far from it. For people under 20 in most Western nations, punching their own ticket is now the most popular non-climatic cause of death. More than 24,500 took this option in Australia alone last year. And sure enough, in case after tragic case, an autopsy shows that the culprit wasn’t all there at the time (mentally speaking). In the complex, fascinating and ever-evolving epidemiology of self-slaughter, the only rule is that there are no rules. Whereas teenagers are most likely to do it by teen suicide, adults tend to top themselves using other methods, he explains. Historically, women and eunuchs—who have a natural aversion to violence—prefer to murder themselves non-violently. But with poisoning increasingly seen as a valid option by young males too, the gender gap seems to be narrowing. So where does the idea of chasing a bottle of painkillers down with a stiff drink get this newfound unisex appeal? Lewandowsky isn’t certain, but points to the decline of the scouting movement in recent decades—a trend that’s left crucial knotsmanship skills in short supply. As a result, he fears the manly tradition of hanging is becoming a lost art. Gender isn’t the only determinant of how we do away with ourselves; there’s also the culture factor. Since fleeing to the UK, Lewandowsky himself has been volunteering at his local Suicide-Bombing Prevention Hotline, a suicide safety initiative that aims to teach Britain’s notoriously-explosive Asian youth about the alternatives to strapping on a vest. “We obviously respect the right of Asian minors to choose end-of-life. So rather than try to talk them out of it, which would border on racism,” he stresses, “we simply steer the phone call towards the wide range of methods they may not have considered. “For example, could they see themselves jumping in front of a train? Or does someone at their mosque have a gun and a single round of ammunition they’re not using at the moment? Believe in Jesus? Ask your minister, priest or youth group leader about their policy on giving suicides a Christian burial. Many of the more progressive churches are happy to do it these days—often for a small extra fee—so it pays to shop around. Sure, nobody likes to think about such eventualities, but when the day comes your next of kin will thank you for planning ahead! 10 It may be a life sentence, but it doesn’t have to be a custodial sentence. As recently as the late 1950s, every parent’s worst nightmare was to learn their child was insane in the membrane (the worst place to be insane, medically). For hundreds of years we made use of the scientific fact that out of sight equals out of mind, consigning the incurably batshit to sanitaria, sanatoria and asyla for the terms of their natural lives. And it’s no reflection on the compassion and professionalism of the doctors and nurses at our nation’s nut farms to say that these places were hell on earth. Then the psychopharmaceutical revolution came along and changed everything. Early antipsychotics like lithium and first-generation tricyclic antidepressants seem primitive now, but at the time they meant empowerment and rehabilitation for millions of madpersons who would otherwise have languished in looney bins. For these men, women and children a life of equality and dignity is now as simple as remembering to take their monkey tablets. Take ‘Stevo‘ [pictured]. He’s a card-carrying member of Generation Haloperidol: the vast cohort of medically-sanctioned drug addicts who can now aspire, for the first time, to bigger and better things than taking up precious padded-cell space or de-beautifying our urban environment with their St-Vitus-like writhing. To meet this middle-aged, third-rate academic you’d never guess he was so damaged, let alone what exactly his damage was. Only the subtlest signs seep out to hint at his inner demoniasis: some inappropriate gesticulations every so often, illogical speech, acalculia, questionable reasoning and a kind of dyskinetic, Elaine-Benes-like chorea. Oh, and the paranoia. The constant paranoia. Blink and you’d miss it. But there’s no shame in being mad as a cut snake, says Stevo, who’s too ashamed to give his real name. “Not these days. A generation ago I would have been relegated to one of our crowded and underfunded madhouses. Now, with the latest advances in anti-insanity pills, I get up and go to work every day, confident in the knowledge I probably won’t wig out. Wow. Just wow! To realize that even today we allow someone so clearly crazy to have positive serious influence. I get the joke. Islam is more irrational than other religions. Of course, an atheist couldn’t say that. That’s the joke. Thanks Brad, your continuing work on Bavarian temperatures is greatly appreciated. I laughed, and laughed, and laughed.